A lifelong love of drawing and making, combined with a slight obsession with all things paper and stationery, led to the creation of Love Ink Paper Scissors, a range of cards, notebooks, prints and accessories, just over a year ago. In Love Ink Paper Scissors’ world, bright colourful illustrations of dancing umbrellas, rainbows, unicorns, blooms and cute robots happily join evocative black and white images of stars, clouds, trees, moons and waves. 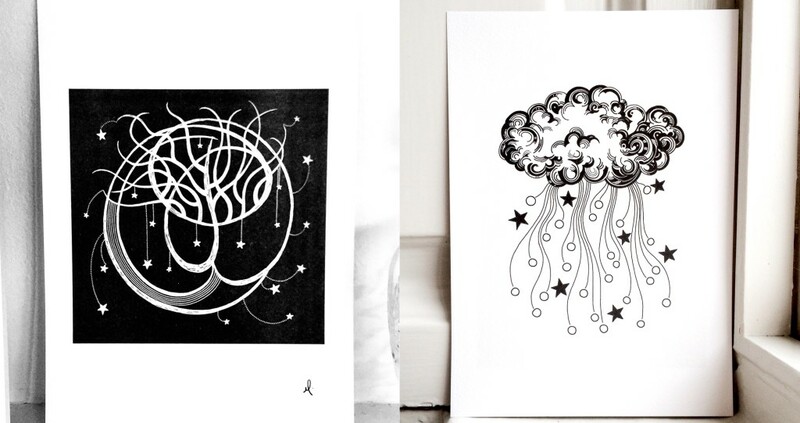 Nadine designs, illustrates and makes all her prints and stationery, using beautiful paper sourced in Dublin. She also makes cute pins, badges, magnets and pocket mirrors. Love Ink Paper Scissors has a plastic free policy of using only paper or biodegradable packaging, which is just another way of making our world more beautiful.